With all the attention paid to the introduction of the early FAFSA, one critical element getting lost in the rush to apply to college is the CSS PROFILE. The College Scholarship Service (CSS) PROFILE is used to apply online for nonfederal financial aid from almost 400 colleges, universities, professional schools, and scholarship programs. The CSS PROFILE goes into depth on your financial background somewhat more than FAFSA. Of course, if you do want to receive federal financial aid or federal student loans, you still have to complete the FAFSA. 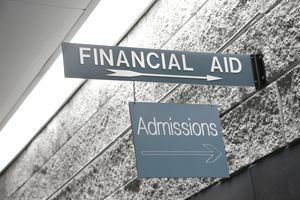 Keep in mind that there may also be some colleges which have their own separate financial aid applications. This could get a little complicated, so it is best to leave yourself as much time as possible for everything. Similar to the FAFSA, the CSS/Financial Aid PROFILE for Fall 2018 or Spring 2019 will be available online beginning October 1. Although there are plans to redesign the form, one similarity is that the CSS/PROFILE uses prior-prior-year (PPY) income tax information. As a result, for the 2018–19 application, applicants will be able to utilize information from their 2016 federal income tax returns. This should aid in the timely completion and submission of the form, but there may also be some income estimates required for 2017 and 2018 to provide a complete picture of your financial situation. If your situation changed dramatically since filing your tax returns (e.g., divorce, disability, death), be prepared to provide additional documentation on these changes. Logging in to the site: If the student used the College Board site to sign up for the SAT, you can use the same user name and password to log into the PROFILE. Otherwise, you will have to create a new account. Always begin with the registration page. The student will receive an email confirmation when registration is complete. Fees: Although there is no cost to file a FAFSA, the College Board does collect a fee to process the CSS/Financial Aid PROFILE. The current fee for the initial application and one college or program report is $25. Additional reports are $16. You will need a credit or debit card for this purpose. To save money, therefore, you should only submit a PROFILE if you are very sure of your choices and your college or scholarship program instructs you to do so. Some fee waivers are available to first-year, first-time domestic students from low-income backgrounds. Students who used an SAT fee waiver may also qualify for up to eight PROFILE fee waivers. Divorced parents: The FAFSA usually relies only on financial information from the custodial parent, but the PROFILE might require you to provide information from the noncustodial parent as well. Timing: Carefully check your colleges’ financial aid application deadlines. You should file the PROFILE no later than two weeks before the earliest priority filing date specified, in order to leave room for a margin of error. Information you’ll need for the PROFILE: Information required on the PROFILE will include whether the parents receive TANF (Temporary Assistance for Needy Families) or SSI (Supplemental Security Income); if the parents are self-employed or own business(es) and/or farm(s); the parents’ housing status (own, rent); and the student’s personal information, including a Social Security number. The College Board does provide a pre-application worksheet to complete in advance, which will help you when you sit down to fill out the official form. College list: You may add a college or program to your list at any time, but you will be charged $16 for each college or program you add unless you still have any unused fee-waiver eligibility. You may not delete any colleges once you have submitted your application and will not receive any refund if you decide not to apply to a listed college. Getting help: Once you register, you will find detailed instructions as you complete the PROFILE, as well as an extensive online Help Desk, including Frequently Asked Questions. You can also contact customer support at 844-202-0524 (Monday through Friday, 9 a.m. to 6 p.m. Eastern Time, with extended hours from 8 a.m. to 10 p.m., January through April) or email help@cssprofile.org.